The Independent Petroleum Marketer Association of Nigeria (IPMAN), South-West Chapter, has urged the Federal Government to encourage investors to invest in the nation’s modular refinery to boost economic growth. Its South-West Zonal Chairman, Alhaji Debo Ahmed, on Monday told the News Agency of Nigeria (NAN) in Lagos, that unless government makes the processes less cumbersome, it would be difficult to attract investors. According to him, government should make the acquisition of licences timely and also ensure infrastructure development as well as security of assets. “Government should also provide additional incentives to investors to facilitate the establishment of modular refineries in the country. “`Incentives in the form of tax reliefs, customs and excise duties, value added tax waivers and accelerated capital allowances will help to boost investments in the refining space,’’ he said. Ahmed said that investing in modular refineries would also serve as a way to end fuel scarcity. He said that the modular refineries could help to address any shortfall in fuel supply pending when additional refineries would be built. “It will also boost the country’s revenue generation and address frequent fuel scarcity usually experienced during the Yuletide seasons. “My expectation in 2019 is for the government to invest more on modular refineries to be able to have more petrol locally and to address scarcity,’’ he said. Ahmed said that government had performed credibility well in the downstream sector in 2018 in ensuring that there was no scarcity. He said that it could crown it by building more modular refineries. According to him, a modular refinery is cheaper to build and it can move from one place to another. “A modular refinery is capable of refining between 10,000 and 35,000 barrels of crude oil per day,’’ he said. The IPMAN zonal leader also urged the government to provide incentives that would attract investors to the oil and gas sector. He advised government to consider opening of depots in the hinterland to address the ongoing gridlock in Apapa, Lagos. Ahmed said that the oil and gas industry would attract investment if the government could sign the Petroleum Industry and Governance Bill (PIGB). This, he noted, would also help investors to know ‘where to pitch their tent’ when making efforts to invest. “The oil and gas industry awaits the President’s accent to the PIGB for investment to flow. 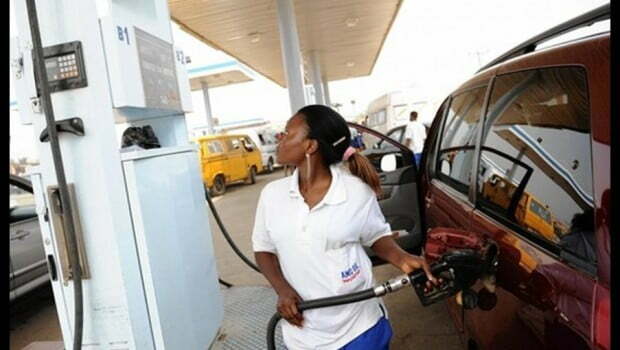 “Liberalisation of the industry in terms of petroleum will go a long way to address scarcity. “For the industry to attract more investment where government will reap the benefits of royalty and Foreign Direct Investment (FDI), there has to be redistribution of the oil block licences. “This will reinvigorate the oil block and make it transparent,” Ahmed said.